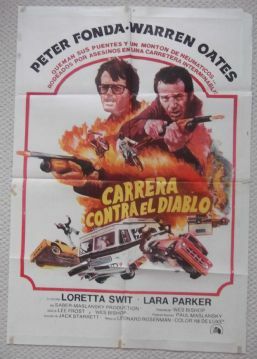 Original 1975 Argentinian one sheet movie poster from the cult film ' Race With the Devil ' starring Peter Fonda, Warren Oates and Loretta Swit. This poster is in VG++ condition and measures 29" x 43". 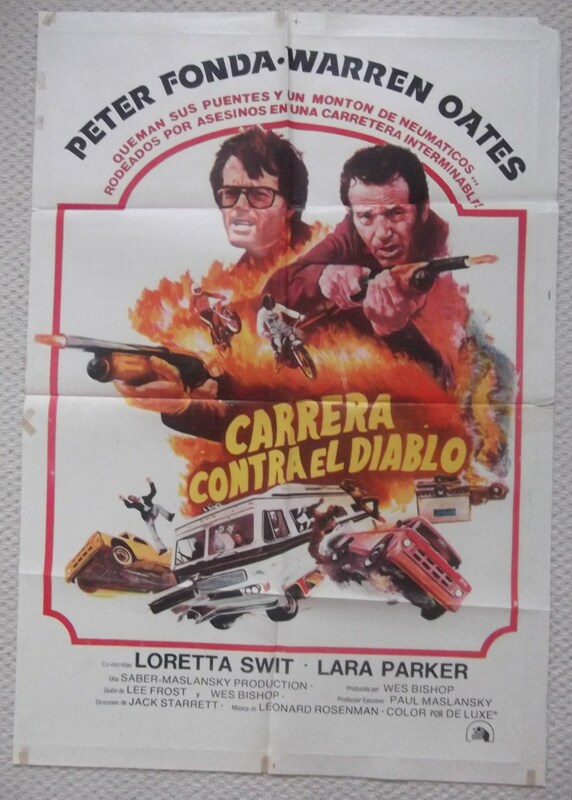 Great poster of a cult film. The poster has a corner chip, a little edge wear and some tape residues.